Lani is a badass Chicago DJ with a growing following and enviable personal style. She's done a few interviews outside of this one (oh hi, Chicago Tribune), and you can find her on just about any "Best of Chicago" list. But somehow, she's one of the most gracious, humble human beings I've recently had the honor of meeting. Lani's also the first person ever to be nominated for an Infrequently Asked Questions interview. I guess the people want to hear Lani Love's story! And with good reason... it's a great one. 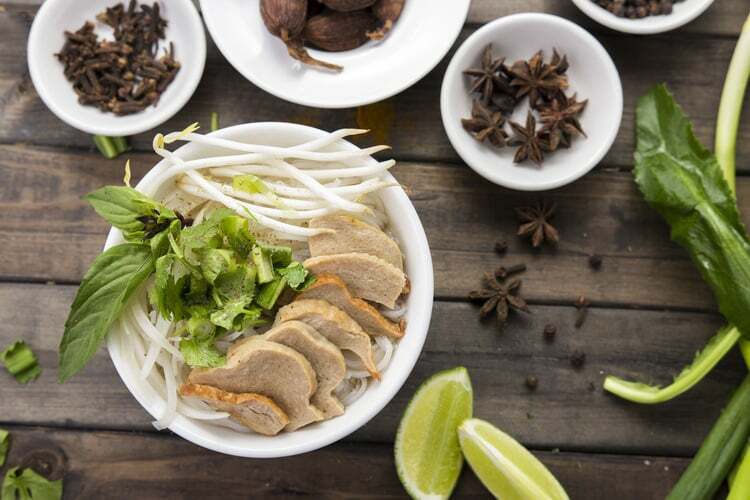 Pho! It's my comfort food and reminds me of my family. My mom and sister serve vegan versions at their restaurants in SoCal, and I make it a lot here during the colder seasons. What character stuff have you had to actively work on over the past several years? How are you doing on that stuff now? Learning to live in the present! I used to be a major planner and worry wart, and I still am to a certain extent. But now with a slightly reframed perspective, I've been able to enjoy life more. Focusing on the present has also helped me move on from setbacks and deal with anxiety. I've also learned how to slow down. This is something I'm still working on because I sometimes feel guilty, but I've been better about giving myself time off to recharge and unwind. In the past I would work myself to the bone and would wait until I got sick to take a break. I think my purpose is give back more than I take. Everything that I do is possible because of the support and love of others, so I really make an effort to share the best parts of myself with those around me. I've noticed that I'm often the person that friends turn to when they're looking to make a change, big or small. Sometimes it's just simple lifestyle questions like switching to a plant-based diet. Other times it's about changing careers or launching a business. Maybe it's because I'm so enthusiastic and candid, and I have a lot of personal experiences to pull from. When I was in college, I just wanted to find a secure job in a creative environment. I thought I would work at one, maybe two different companies and retire. My career has been full of twists and turns. I've worked at more ad agencies than I would like to admit, but there are so many changes in agency life (client, budget, leadership, etc) that the jobs I would move for would end up being very different once I got there. A year and a half ago, I felt I wasn't growing anymore, so I decided to become a freelancer to have more control over my personal growth. I took on a variety of freelance projects: brand strategy for national brands, social media strategy for small businesses, writing about fashion and retail, but most importantly, I pursued my passion in DJing. I went from having a few gigs a month to a few gigs a week. There are some weeks where I could easily DJ every night, but like I mentioned above, I'm really trying to be conscious of not burning out. It defines on how you define making it. If making it means being able to pay rent doing what I love and feeling empowered to take on the future, then yes, I've made it and I'm super thankful to be where I am. But if making it means reaching my personal goals, then no. I'll probably never "make it" because my ambitions are always evolving and I don't want to ever be complacent. I don't think anyone besides my parents care about my life path, so their opinions are the only ones I'm concerned about. My parents still aren't totally sure what I do for a living or even what I've done in the past because I'm not a doctor or lawyer, but they know that I'm happy and can take care of myself. That's enough for me. That's not to say that I'm invincible to hurtful comments. In my weaker moments, comments from internet trolls can really get under my skin. In my usual state of mind, I'm only concerned with what my family and friends think. So many ways! I have a wonderful family and amazing friends. In that sense, I'm truly blessed. My parents have an amazing work ethic, and they really instilled that in me and my sister. They left Vietnam by boat, survived hardships that I can barely even begin to comprehend, learned a new language, and successfully raised two kids. They've also taught me a lot about compassion and giving back. My friends and boyfriend are my everything. My closest friends help my conquer my biggest fears and insecurities, and they make me feel like anything is possible. Without them, I probably would have been more hesitant about going freelance and pursuing DJing. They've encouraged me to do crazy things like enter DJ competitions and helped me realize my worth. Five years ago I thought success was some grand accomplishment, but now I feel like success can be low key and it's more about a mindset than anything. Ten years ago, I thought it was important to have a plan and tried to have everything buttoned up. I'm still a planner and very goal oriented, but my life plans are much looser. I believe that if you want something enough, it will happen, just maybe not the way you expected it to. Quality time with my family and boyfriend. I've been working non-stop my entire adult life. This upcoming year I'm going to slow down a bit to spend more time with people who matter most to me and give myself more time to work on personal projects. When I'm making other people happy. Whether it's with a DJ set or conversation, I strive to be a purveyor of good vibes. And when I'm listening to music and daydreaming. It's kind of my form of meditation. My mind wanders and I feel at peace. Sometimes without trying, answers to problems come to me when I allow myself to be still and just breathe. I listen to music, talk to friends, and walk around. Sometimes just a change in environment can be really helpful, and usually it's just a matter of perspective. I've been fortunate to have a pretty good life, so grounding myself with that thought often helps me feel better. Read more about Lani here.